I'll tell you the first thing that made me realize that Irwin Construction was different than that other 5 companies that came out to do a bid for the work I needed done. Everyone else came in and did a 15 minute walk-through on my property, gave me a number, and then went away. Charles Irwin spent at least an hour and a half really evaluating the property, writing up a very detailed bid, which totally told me what he was going to do. His prices were more than the others, but I didn't know what the other companies were giving a bid on. I'm delighted with everything, and Charles went above and beyond the call of duty. He's a perfectionist, and a finisher. What he tells you he's going to do, he always does more. I didn't expect all of what he did. I liked his expertise and his workmanship. He's unbelievable and the people he brings with him to do the specific jobs that have to be done, are above par. He's very good at figuring things out, good at making suggestions, and comparing prices. He's very flexible and willing to work with you. He can take an idea and build it without any blueprints. 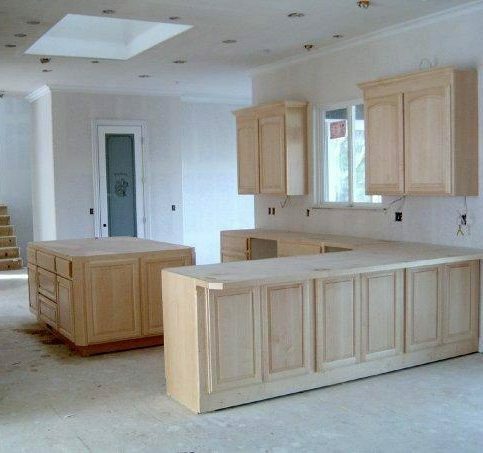 Irwin Construction provides a complete range of kitchen and bathroom remodeling services for residential clients in Santa Clara County. 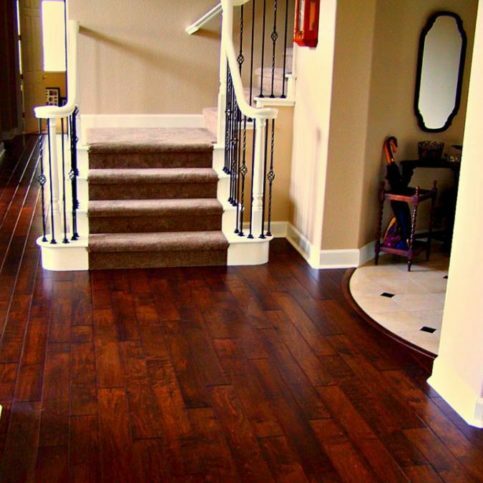 The company handles every phase of its customers’ remodeling projects, including cabinets, electrical, plumbing, drywall, painting, custom tile, granite, lighting, foundation, carpentry, trim, baseboard, crown molding and roofing. It can also provide room additions. 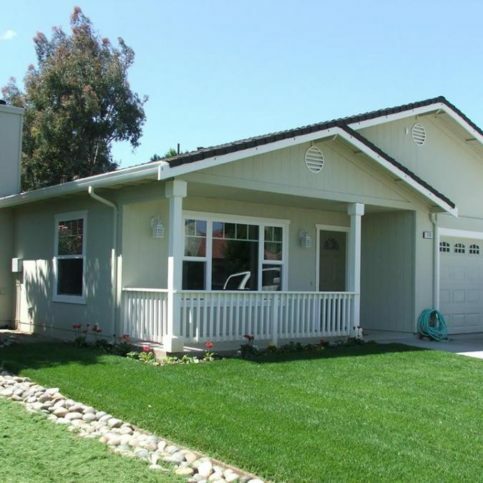 Areas Served: Serving Santa Clara County, including Gilroy, Morgan Hill, Hollister, San Jose, Sunnyvale, Mountain View, Milpitas, Cupertino, and Campbell. Irwin Construction has been remodeling kitchens and bathrooms for residential clients in Santa Clara and Santa Cruz Counties since 2006. 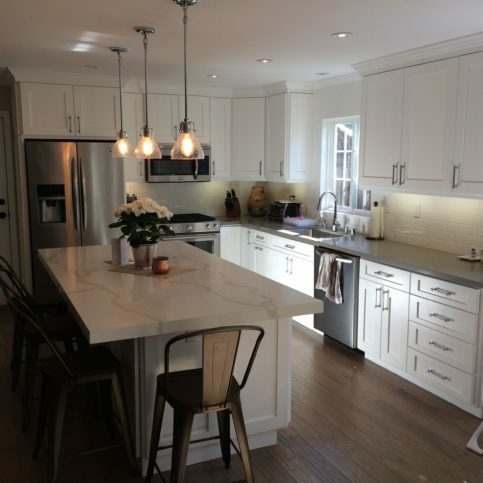 The company has the in-house capabilities to handle every phase of its customers’ remodeling projects, including cabinets, electrical, plumbing, drywall, painting, custom tile, granite, lighting, foundation, carpentry, trim, baseboard, crown molding and roofing. 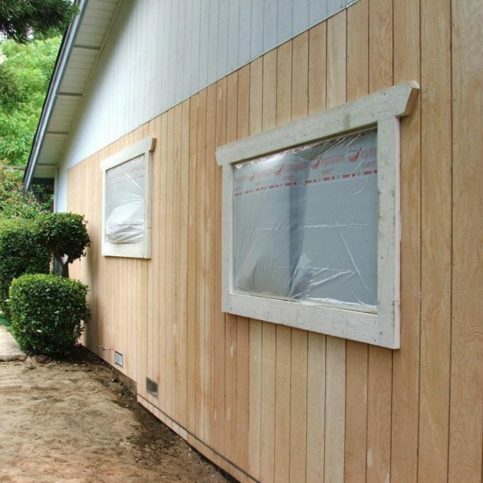 “I can also build room additions and decks,” adds Mr. Irwin. 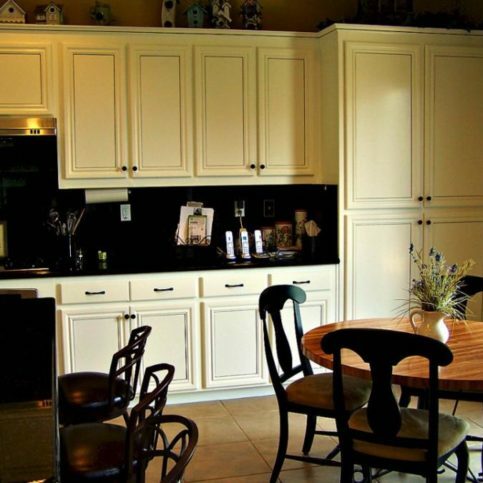 Three tips for buying and installing cabinetry. 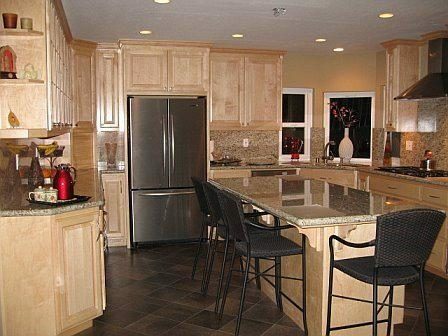 In your eagerness to use your new kitchen, you may be tempted to rush through the process of choosing cabinetry. After all, cabinets are cabinets, right? Not so fast. 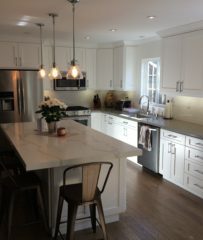 According to Charles Irwin, owner of Irwin Construction in Gilroy, there are a few decisions you should take seriously when choosing and installing cabinetry. Invest in quality cabinets. Cabinet materials vary widely in quality and price. 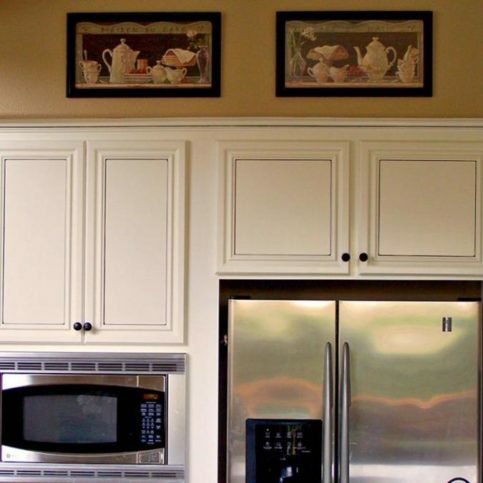 Cheaper cabinets are often made of pressed wood, which can swell and warp in bathrooms and other high-moisture areas. Solid wood cabinets are more expensive, but they come in different price points that fit a variety of budgets and provide a lifetime of use. A: It depends on a variety of factors, but once I determine the details, I’ll use a flowchart to show you exactly how long your job will take to complete. A: I do most of the work myself, but sometimes I work with subcontractors on larger jobs or projects that require expertise in certain areas. When I do work with subcontractors, they’re professionals whom I’ve used many times before. I work well with them and trust them to adhere to my high standards of quality. Q: Is my house going to get dusty? A: Construction is inherently dusty, but I’ll do my best to keep your home as clean as possible. I’ll bag off the work area with plastic, put barriers under the doors and clean up carefully as I go along. Q: Will you clean up every day? A: Yes. Every job is different, so I take each client’s specific needs into account. For example, if I’m working in the middle of a house, I don’t want the residents to worry about walking through the jobsite, so I’ll unplug and put away my power tools, roll up my extension cords, and remove debris at the end of each workday. I also do my best to minimize the mess while I’m working and keep my materials in a small area so there isn’t a lot of cleanup. Q: Can you help me choose my cabinets and a cabinet layout? A: Yes, I’ll help you make the best cabinet decisions for your home and lifestyle. Cabinets aren’t just boxes with doors on them—you need to properly lay out your kitchen to get the best results. I pay a lot of attention to materials and layout, and I’ll work with you to incorporate your ideas. Q: Will you help me stick to my budget? A: Absolutely. Once I know your budget, I can help you determine where to focus your spending and give you detailed layouts and product lists so you can achieve the look you want at a price you can afford. 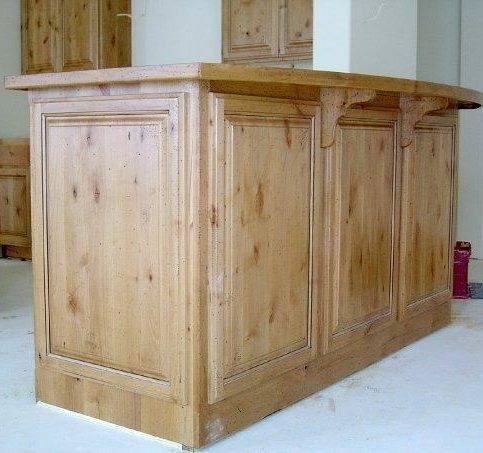 For example, maple cabinets are usually more expensive than oak cabinets, and stains or special features add to that cost. Charles Irwin is a 27-year veteran of the construction industry and owner of Irwin Construction, a Diamond Certified company. He can be reached at (408) 214-1500 or by email. A lifetime resident of the South Bay (where he lives with his wife, Tricia), Charles spends his time outside of work on a variety of active pastimes. “I’ve always loved cars and racing, and I used to do dirt track racing over in Watsonville,” he says. “My latest passion is car restoration—right now, I’m rebuilding a ’33 Dodge sedan.” Charles also enjoys going shooting at the archery range and spending time with his family, including his two grown children, Branden and Samantha. A: “Vikings” on the History Channel. A: Maurizio’s in Morgan Hill. A: Halloween—even though both of our kids are grown up, we still get dressed up and go out! A: The Greatest American Hero. A: The past. I think it would be really cool to go back to the Renaissance period and see all the art and technology as it was being developed. 1. 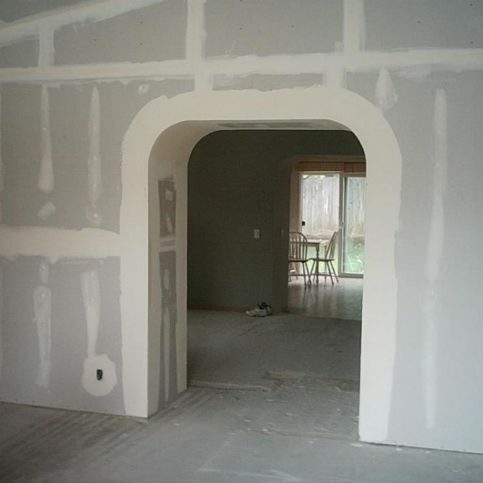 Cut out a square-shaped patch around the damaged area of drywall and remove it. 2. Cut a long, thin piece of plywood, place it behind the drywall and use a drill to screw it in at two points. This will serve as the backing for your new patch. 3. Cut out a piece from a drywall sheet that matches the size of the patch you removed. Using your drill, screw this piece into the plywood backing and fill in the gap in the drywall. 4. Use a joint knife to apply taping compound over the patched area. 5. Apply drywall tape to create a bond between the taping and topping compounds, which will reduce the chances for movement and cracking. After applying the tape, allow the taping compound to dry. 6. 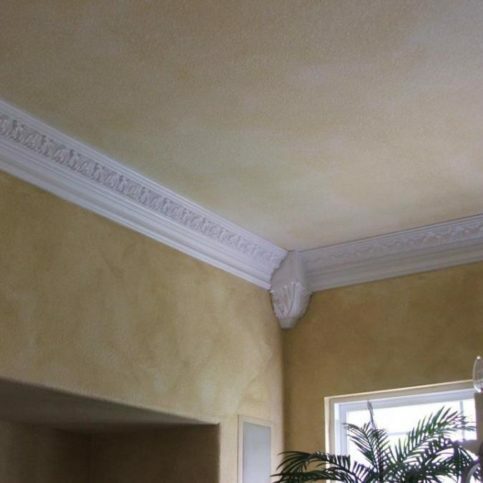 Apply your topping compound, which is like your drywall’s finish coat. 7. Blend the topping compound with the rest of the wall by feathering the edges. A good tool for doing this is a folded-up plastic bag with one side taped to form a handle. Remember, drywall mud is water-soluble, so if you’re not happy with the way it looks, you can wipe it off with a sponge and redo it. 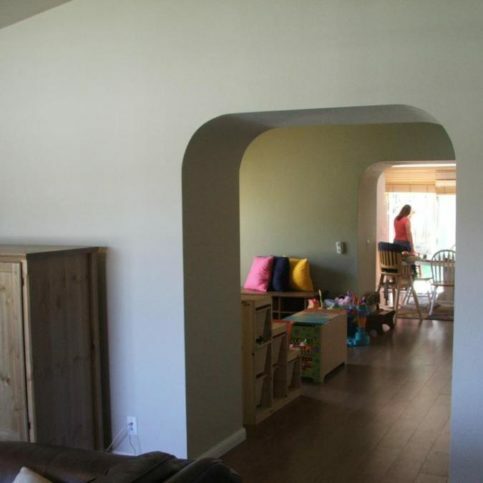 GILROY — Host, Sarah Rutan: If you have a damaged area of drywall in your home, you’ll be glad to know it’s fairly simple to repair. Today we’re in Gilroy with Diamond Certified Expert Contributor Charles Irwin of Irwin Construction to learn how it’s done. Diamond Certified Expert Contributor, Charles Irwin: Today we’re going to show a tip on how to do a drywall repair. I’m sure that you’ve had a doorknob or something that flies through the wall. You have a hole like this. Maybe a little bit bigger, from, you know, a door handle, or something like that. And we’re going to show you how to do a repair on that. What we’ll do is we’ll tape it, which is what this stage looks like. And then we’ll top it. And then we’ll feather in the edges with a sponge. And then we’ll use something that you can make at home, basically a little plastic bag. You can use a Ziploc or some Visqueen that you have laying around. Get some tape, tape up a handle on it so that you’ve got a little device. And you use this to dip in the mud and put the texture on the wall. And that’s what we’re going to show you today. So, the first step that we do is we cut out the patch and we put a plywood piece behind it. You can use a small stick. A paint stick is a little bit thin. Something a little thicker than that, you know, a half inch, 3/8, maybe, minimum. And put that behind the patch. We’ll screw in our patch. And then we will tape it using taping compound. This, what we’re using today, is a hot mud that dries in either 5, 15, 45, 60, or 90 minutes. I would not recommend using the 5-minute, unless you need to get the patch done quickly. We’ll tape the patch. Then you need to let it dry. And then you top it. And then you need to let that dry. Then you come in with a sponge. You feather in the edges. And this is the biggest secret that people mess up on all the time, and including professionals. You need to feather in the edges so that you can’t see it after you’re done painting. You take the plastic bag that you made and you dab it into the pan. And then you just kind of just speckle it onto the wall, just like that. Let it dry just a little bit, maybe a minute. And then wipe it off with a [00:02:06 tral phonetic]. If you notice that it’s wiped off too much, scrape it off and start all over. All the mud is water-soluble. If you get any on the carpet, and you get any on your hands, you’re not happy with it on the wall, you can wipe it off with a sponge. Irwin Construction : Average 9.6 out of 10 based on 45 unique customer surveys of customer satisfaction. They have always followed through with what they promised me, and they were prompt. He is just a great guy, and he does a great job. He handled everything I needed in a timely manner and at a great cost. He was very diligent and on top of it. He responded to some suggestions and directions that we had, and he did a really great job. Some of the other trades he brought in were wonderful too. He was on top of things all the way through, and he delivered on what he promised us. Very professional from the start to the end, he saw everything through. All of his workers were very professional. I would say that he provided a great timeline, and he used great technology to give us a timeline about when things would be finished. 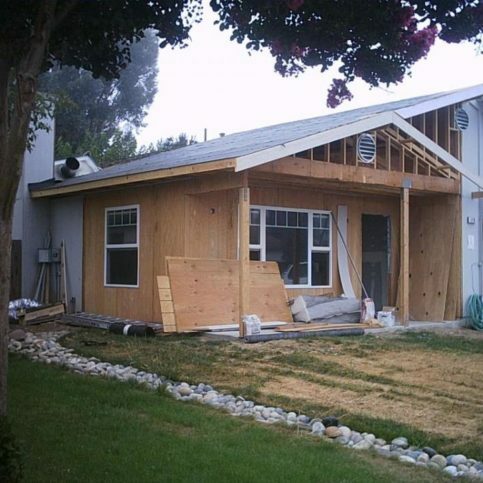 It is very rare when I've seen any other contractor have that level of exceeding my expectations. Very reliable, and they do what they say they'll do. I think just the reliability, the trust, and the openness. He does a good job and I liked working with him. 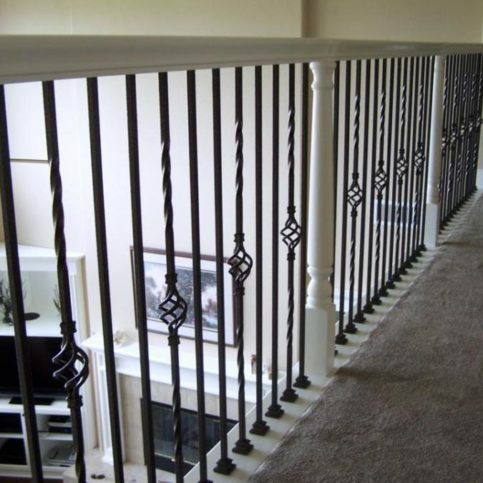 They were very dependable and they did an excellent job, the only thing was it took a little longer than expected. I was really pleased with Charles Irwin. He was responsive, helpful, and he got the work done pretty promptly. He also did work for my neighbor. I just thought he was great. I'd recommend him. He's good. Charles has a great personality and he does excellent work. They are very helpful, always easy to get a hold of, and they would help with anything that I need done with the house. Very trustworthy, they are a great company. The quality of the service is the best. I've used them for 3 different occasions, and that's the reason I keep coming back to them. They're great. He's always my first choice when it comes to these types of jobs, so I'm really disappointed that he never got back to me. The work he did for me previously was great. The work he's done has always been great. I would recommend them for anything. They are great. Creativity, and he really came up with some great ideas. I liked his know-how and he knows his stuff. I'm very satisfied with their work. They performed on time, finished in a week, and they were considerable with my money. They kept to their word about everything they were doing. They were reasonable, honest, and a good company. I really liked the quality of their work. I'm very happy with them. He does very high quality work, and takes pride in his business. He's professional, comes across as friendly, has good ideas, and gives his input. If things are going the wrong way, he'll say so, and yes it's still your choice, but he helps a lot.